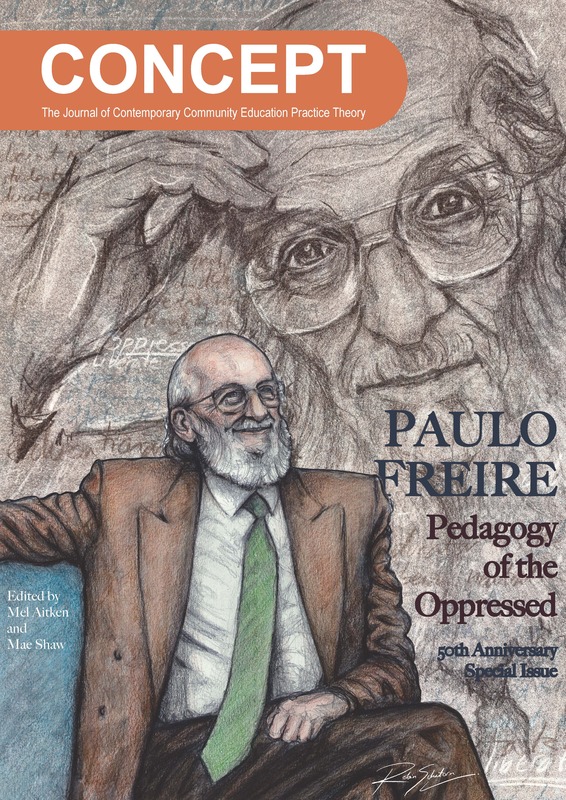 This is a special issue of CONCEPT journal celebrating the 50th anniversary of the publication of Paulo Freire’s Pedagogy of the Oppressed. We regard the Special Issue as a fitting tribute from a range of distinctive voices to perhaps one of the most distinctive, compelling and (still) contemporary voices in popular education. Special Issue. 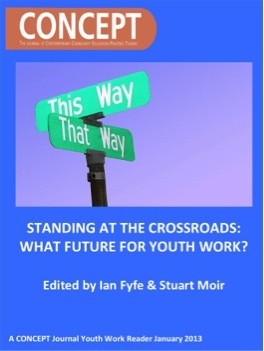 Concept Youth Work Reader - Standing at the Crossroads: What future for Youth Work? Concept is an Open Access journal. All material is licensed under a Creative Commons Attribution-NonCommercial-ShareAlike 4.0 International (CC BY-NC-SA 4.0) licence, unless otherwise stated.